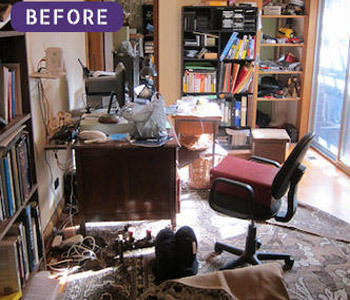 Those in need of rented flat clearance services in Sydney should certainly get in touch with us. We are a professional company who are specialists in rubbish removal and house clearance, and who frequently undertake rented flat clearance in Sydney. If you are a tenant who is due to vacate your rented property, then consider hiring us to clear your rented flat, removing and disposing of unwanted items, as well as any rubbish that has accumulated since you have been in the property. Moving can be a stressful time, and hiring a team of professionals to take care of your rented flat clearance is one thing you can do to make your life easier, and may very well help you get your bond back. Alternatively, you may be a landlord who has been left a mess by the tenants who have since vacated your rental property and you need to hire in a professional rubbish removal company to come in and carry out the rented flat clearance, so you can get your property back into decent shape to let out again. Whatever the reason for the rented flat clearance, we are the people to call. We can remove everything from furniture to general household rubbish, and dispose of it too. We can turn the job around quickly, completing and taking everything away the same day. All our workers are fully trained in completing the job quickly, and safely, and to a high standard. We welcome anyone who might need our rented flat clearance in Sydney services to give us a call and see what we can do for you. We are happy to provide you with a free quote, which will be competitive and very reasonable. Get in touch with us via phone or email today.